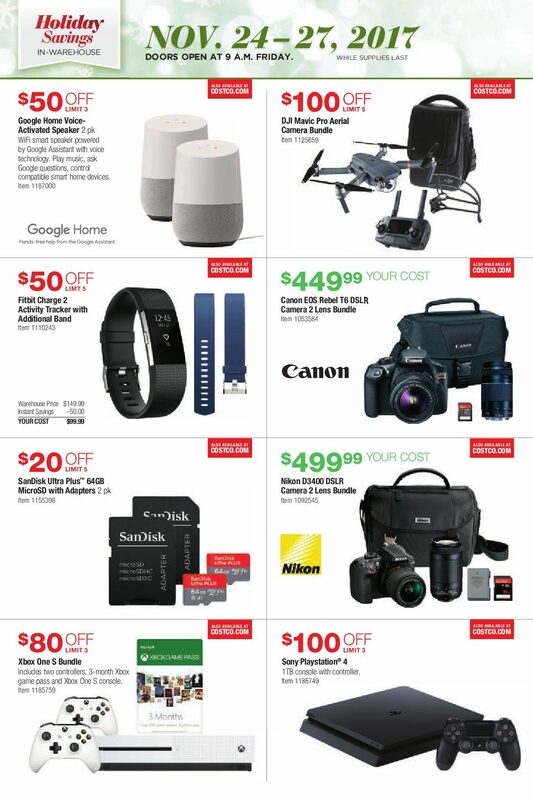 Costco Black Friday Ad Sale 2017. 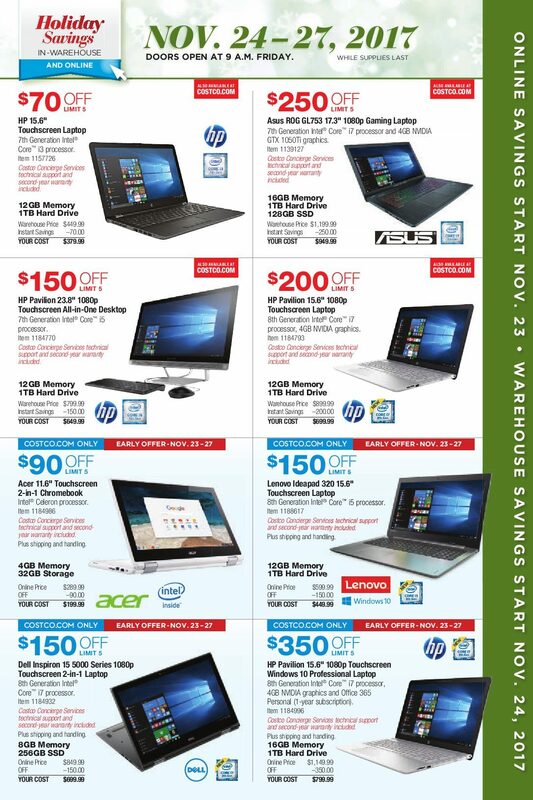 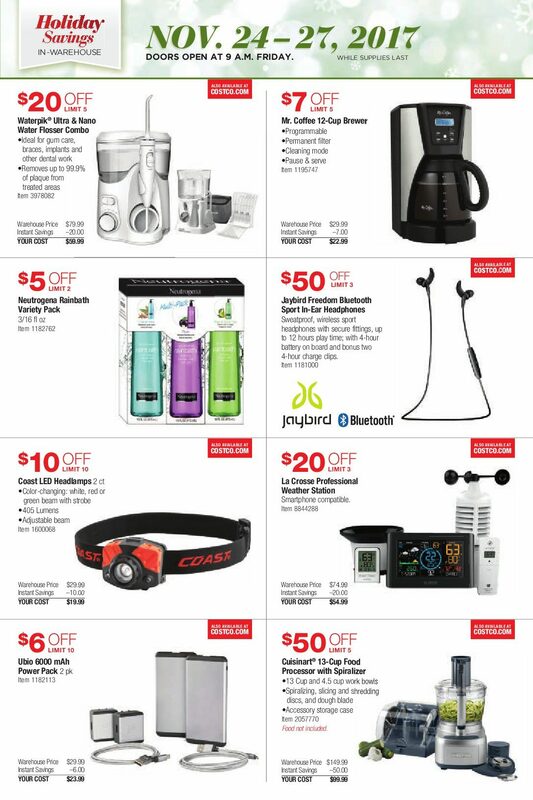 Save with Costco Warehouse Black Friday Sales, coupon offers and Free Shipping when shopping online. 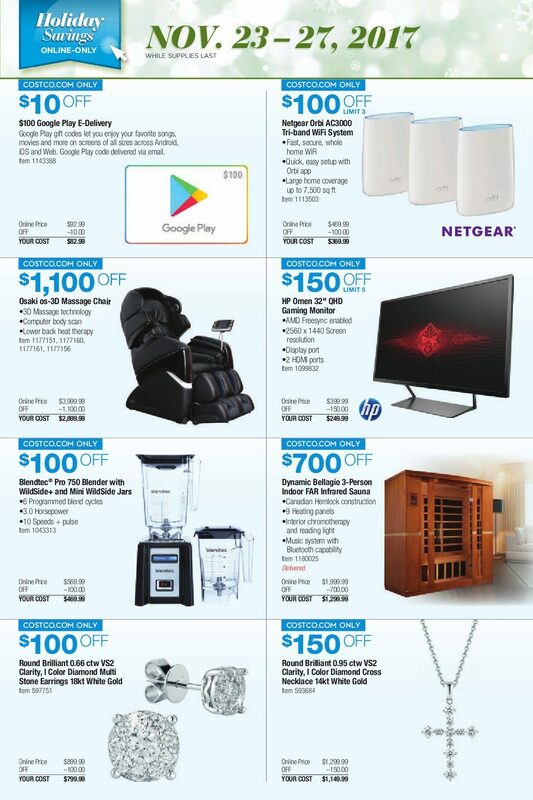 On Thanksgiving Day the stores will be Closed, shop Black Friday Deals from 9 AM Friday, November 24, 2017 until November 27, 2017 – while supplies last! 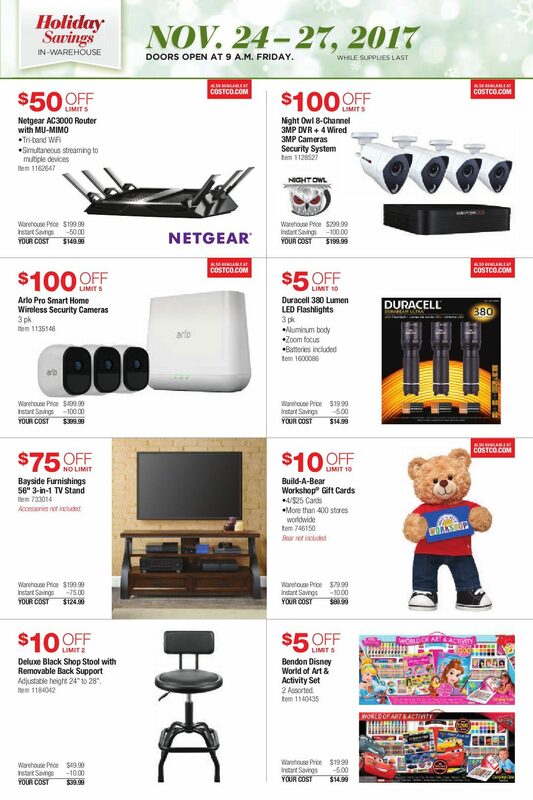 Warehouse doorbuster deals: $250 off Asus ROG GL753 17.3” 1080p Gaming Laptop; $100 off DJI Mavic Pro Aerial Camera Bundle; $100 off Arlo Pro Smart Home Wireless Security Cameras; $5 off Levi`s Men`s 514 Jean; $7 off Mr. Coffee 12-cup Brewer. 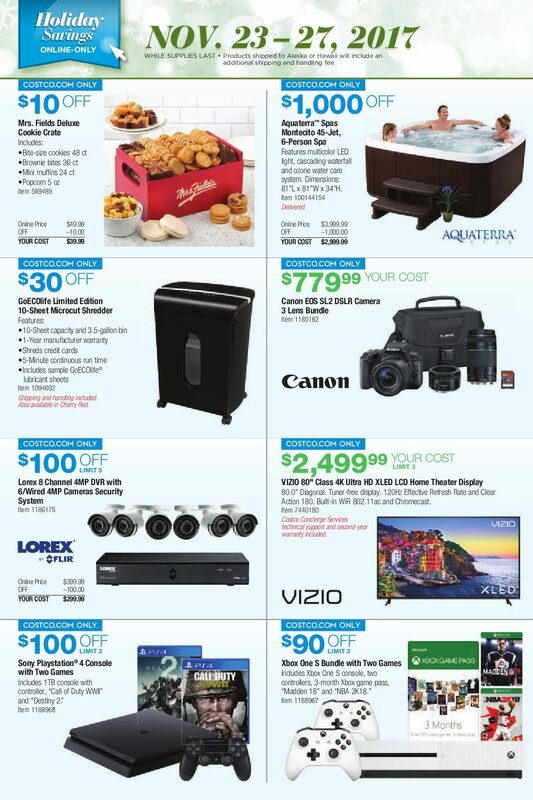 Save with this year Black Friday Sales and Doorbuster Deals. 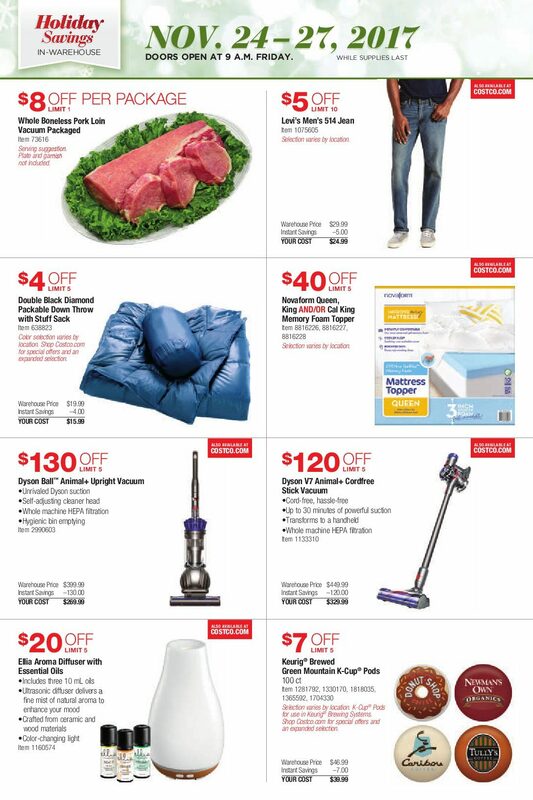 Remember that Costco stores are only open to members and their guests.